Some puzzles are easy to figure out. Others keep you up at night ruminating over clues that never quite fit together the way one might expect them to do so. Including the same investigator for all eight crimes in this anthology allowed me to get to know Scott Drayco at a much more leisurely pace than would otherwise be possible in a short story. 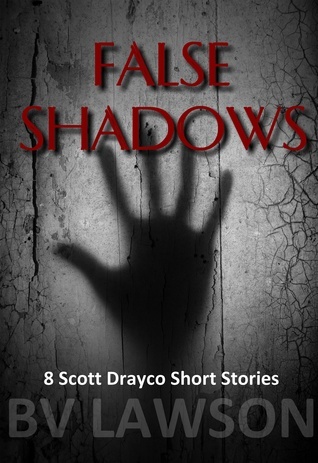 While attempting to solve the mysteries before Scott does was challenging, the gradual exploration of this character’s troubled past is what truly endeared me to False Shadows. Scott has certain mannerisms and habits whose origins are eventually explored, and learning why he acts certain ways was even more rewarding at times than learning the identities of the criminals he pursues. “The Devil to Play” acknowledges that it doesn’t answer all of the reader’s questions while still providing enough hints to propel the plot into a satisfying conclusion. In this tale an anonymous would-be thief threatens to steal the Lady Ambrose Stradivarius, an extremely valuable violin currently being shown at a museum. When a smoke bomb is set off Scott must figure out how anyone could steal a violin in less than a minute of chaos. I was completely stumped by this case, and seeing how Scott pieces the clues together provides valuable insight into his personality and character. This tale left me wishing for more information about how the thief came up with such an unusual plan. A few of the stories in this collection never quite gelled into compelling mysteries despite their attention grabbing premises. In “Terror of the Mind Bandit,” for example, a man named Floyd Lachance who is suffering from dementia repeatedly finds rotting eggs thrown against his door and hears someone playing a violin when he thinks he is alone. The clues about what is happening to him dribble out slowly, but Scott’s attempt to piece them together left me with almost as many questions as I had in the beginning. Had some of them been introduced earlier or this tale been given more space to develop it would have easily become my favorite piece in this collection due to the author’s crisp use of vivid adverbs and adjectives to describe what is happening in key scenes. False Shadows kept me guessing until the very end. I’d recommend this book to experienced mystery readers who enjoy wrestling with skillfully placed hints that don’t easily reveal their secrets.